What does it take to reduce global carbon emissions while meeting the world’s increasing energy demands? 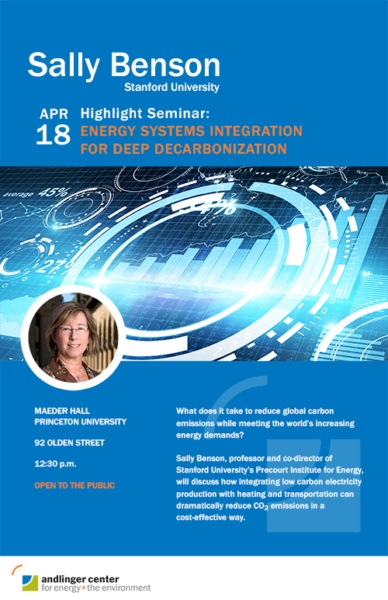 Sally Benson, professor and co-director of Stanford University’s Precourt Institute for Energy, will discuss how integrating low carbon electricity production with heating and transportation can dramatically reduce CO2 emissions in a cost-effective way. 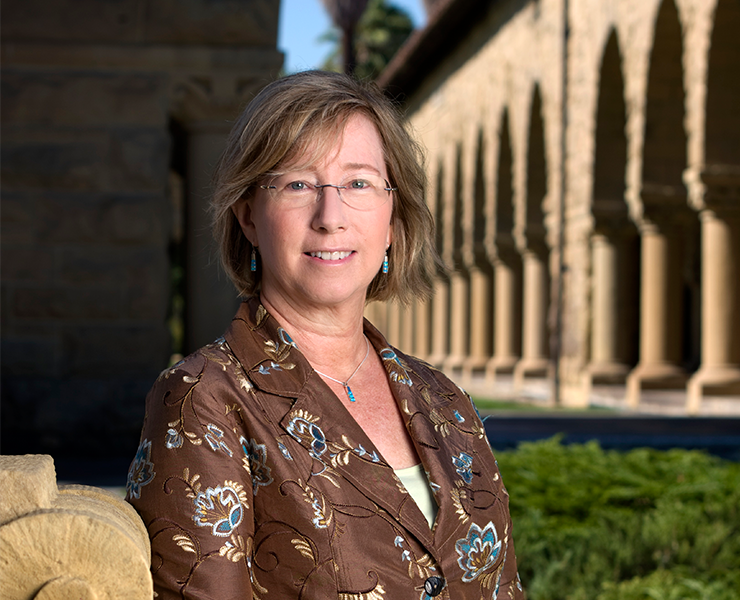 Sally M. Benson, who joined Stanford University in 2007, is the co-director of Stanford’s Precourt Institute. A Professor in the Department of Energy Resources Engineering in the School of Earth, Energy & Environmental Sciences; she studies technologies and pathways to reducing greenhouse gas emissions including geologic storage of CO2 in deep underground formations and energy systems analysis for a low-carbon future. Professor Benson serves on the Board of Directors for the National Renewable Energy Laboratory and Climate Central. Currently she also serves on the Advisory Boards for Argonne National Laboratory and Pacific Northwest National Laboratory, Princeton’s Carbon Mitigation Initiative, Princeton’s Andlinger Center, Japan’s Initiative for the Cool Earth Forum, and the Lahore University of Management Science in Pakistan. Over the past several years, she participated in a number of National Academy of Sciences, Secretary of Energy, and National Petroleum Council research needs assessments related to carbon management. She also is on the Editorial Board for Energy and Environmental Sciences.